Having an accountability buddy may be the key to success. The past year has been pretty hectic for me. I bought a house, moved from Los Angeles to Portland, got engaged, and planned a wedding. Saying “there’s been a lot going on” is an understatement. But one area of my life that hasn’t had a lot going on in this year? It pains me to admit, but I have officially fallen off the workout wagon. My once-regular fitness routine has dwindled to hiking on the weekends, the occasional run (where I huff and puff my way across a mile or two), and a few half-hearted attempts at forcing myself into the gym. We’ve all been there, in some way or another. Maybe you’re recovering from an injury or maybe you’re just getting back from a beach vacation where your only activity was walking from an oceanside cabana to the bar for a daiquiri. Hell, maybe life just got in the way! Whatever the case, sliding back into a solid fitness routineafter a break can be tough (especially when you’re going it alone). Tough… but certainly not impossible. After a year of spending much more time on my couch than on the treadmill, I’m ready to make working out a regular part of my life again. To help make that happen, I’ve asked experts for their best advice. When I first decided I wanted to get back in the gym, I’ll be honest—it’s because I noticed my favorite jeans were getting a little on the tight side. Unfortunately, I quickly learned that a too-tight pair of jeans might be enough to get me back in the gym, but it’s not going to be enough to keep me there. It was time to bring in the big guns. I started with Amanda McVey, general manager of Bulletproof Labs in Santa Monica, CA, which uses science-backed technologies to boost brain and body performance. And that “why” has to be about more than losing a few pounds. It has to be something that truly motivates and inspires you to keep pushing through your workouts—even when it’s hard, even when you’re tired, even when you’d rather stay in bed. If you’re not sure why you want to get back in the fitness game, it’s important to dig a little deeper and find your motivation. Why do you want to make fitness a more regular part of your life again? Is it so you can have more energy to play with your kids? So you can finally cross “run a half-marathon” off your bucket list? Whatever it may be, your “why” is what’s going to push you forward, even when it (inevitably) gets hard. And when it does get hard—maybe too hard to keep going on your own—there’s Aaptiv. It’s like a personal trainer in your pocket (on your phone) that has tons of trainer-led workouts you can do right in the gym. It’s an awesome way to get professional instruction without having to actually workout with other people (BIG relief, we know). 2. Feed your body the right fuel. I’m not proud to admit this, but for me, taking a break from fitness typically also means taking a break from a healthy diet. I know that if I want to get serious about my body again, I’m going to need to feed it more than animal crackers, popcorn, and diet soda. “My favorite thing that Bulletproof founder Dave Asprey says is, ‘There are foods that you eat that make you feel bad. There are foods that you eat that make you feel nothing. And there are foods that you eat that make you feel great. Eat more of the food that makes you feel great,” McVey says. This strategy might be simple, but it’s also brilliant. If you want to make working out a regular part of your routine again, you’ve got to give your body the foods it needs to make that happen. For me, the foods that make me feel great are a mix of protein, vegetables, and healthy fat (my favorite pre-workout snack is a smoothie with kale, banana, vegan protein powder, and a scoop of peanut butter). Experiment and find out what foods make your body feel great and give you the energy you need to get a real workout in. I find getting up for a 6 a.m. solo run nearly impossible—I’ll come up with any excuse to hit the snooze button. But when I know a friend is waiting for me to hit the pavement, it’s much easier to roll out of bed, lace up my shoes, and go. Knowing your friend is counting on you—and seeing that time blocked off on your calendar like any other important commitment—will help you follow through and show up for workouts until you’re back in the swing of things. If you don’t have a friend interested in working out (it happens! ), using an app like Aaptiv can also help you feel accountable to someone other than yourself. 4. Incentivize yourself with new workout gear. Some people are intrinsically motivated and work out just because they know it’s good for them. Unfortunately, I am not one of those people—which is why adding incentives to my workout routine is super helpful. When I know there’s something in the deal for me, I’m much more likely to get my booty to the gym. 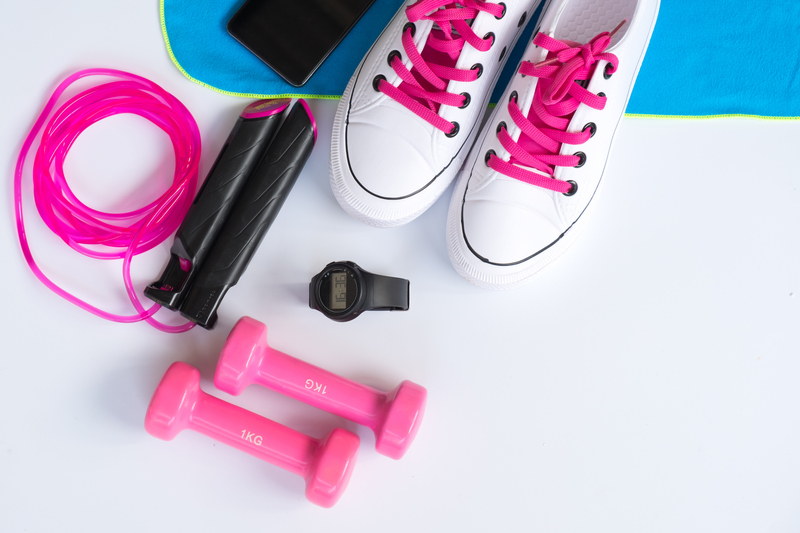 “Incentives are great for people who are competitive and motivated/driven by environmental factors,” says Jonathan Maxim, CEO of Vea Fitness, a workout-tracking app that gives users incentives like discounts, prizes, and cold, hard cash as a reward for working out. When I know there’s something in the deal for me, I’m much more likely to get my booty to the gym. Technically speaking, you can reward yourself any way you like. But if you want your incentives to have added, fitness-boosting perks, try gifting yourself some new workout gear. The point is, it’s easier to get moving if you know there’s a reward waiting for you. And if that reward is a new pair running shoes? Even better. I’m lucky that my fitness hiatus was self-imposed and not a result of an injury. But if the reason you’ve been out of the fitness game for a while is injury-related, the most important thing you need to keep in mind is that you should listen to your body. Do yourself a favor—if you’re dealing with post-injury pain, payattention. If you push too hard when getting back in the gym, you put yourself at serious risk of re-injuring yourself—which might keep you on the bench even longer the second time around. I’m not going to lie—initially, the thought of getting back in the fitness game after a year on the sidelines was a bit intimidating. But as I’ve learned, it doesn’t have to be. With a little inspiration, a complementary diet, a dash of accountability, and a couple rewards along the way, I know I can do it. At this point, it’s just about putting one foot in front of the other. Which I’m going to do now—on a run. Just a heads up that on occasion we partner with awesome brands to bring you products that we know you’ll love and, if by chance you click on a link and purchase it, we may collect a referral fee as a result. But don’t worry, it doesn’t cost you anything extra and we wouldn’t recommend a product if we didn’t love it as much as we love puppies.